Having declined for two straight months, core factory orders were expected to rebound in (shutdown-delayed) January data, but it disappointed notably, dropping 0.2% MoM. 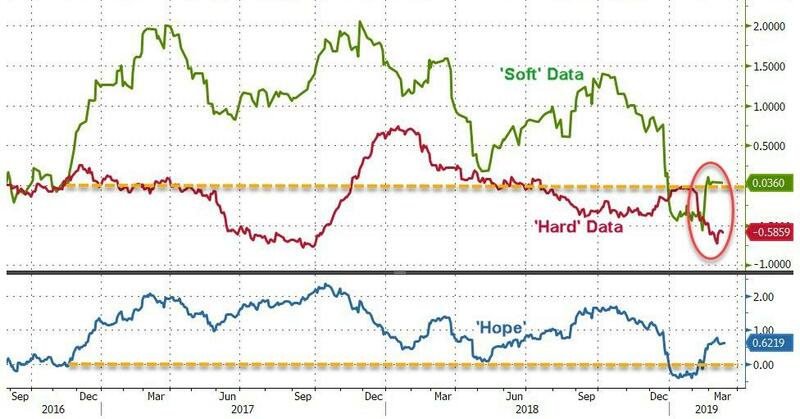 Is there something magical about the $420 billion level of core factory orders? 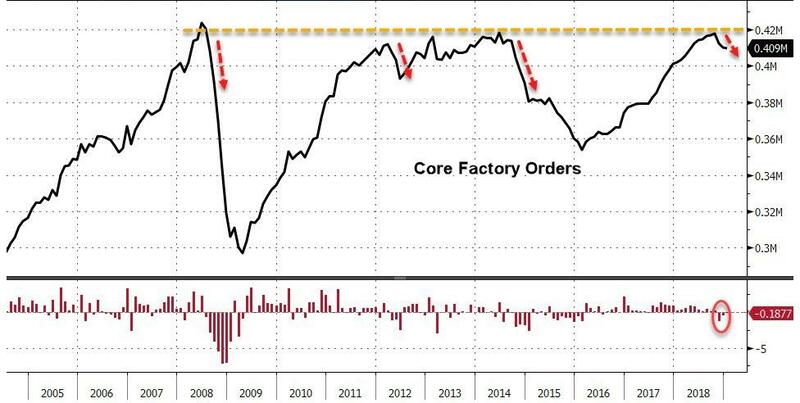 Year-over-year growth in core factory orders was just 1.8% - the weakest since Trump's election in Nov 2016. Headline factory orders also disappointed, rising only 0.1% MoM (less than the 0.3% rise expected). Final data for durable goods largely remained the same from its preliminary prints, except core durable goods orders which dropped 0.2% (vs an initial 0.1% decline).